Since Beyoncé’s performance at the Super Bowl halftime show last winter and the release of her visual album Lemonade last spring, critics have accused her of everything from being anti-police to pro-Satan. Some take issue with the (very) explicit nature of the album. Some use that as an excuse to write off her message. But the popularity of Beyoncé’s music and the impact of her brand on society is undeniable—twenty Grammy awards, the bestselling album of any artist so far in 2016, the first artist ever to top the charts with her first six solo albums, the first woman to have all twelve songs from an album reach the Billboard Hot 100 chart. 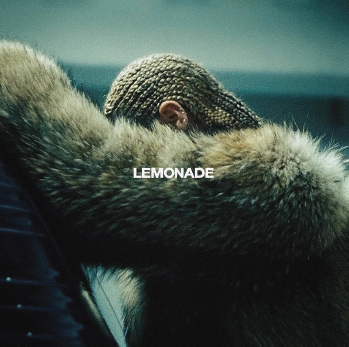 The video edition of Lemonade was viewed live on HBO by close to 800,000 people, shattering records for the network. Beyoncé’s album is both a reaction to ongoing social tensions issues as well as an impetus for new responses to the societal injustices related to gender and race. We listened in as two serious Beyoncé fans, theologian Velda Love and writer/pastor Mandi Cherico, discussed the artist and the meaning of her work. Mandi Cherico: I’m a white, Christian woman who is a huge Beyoncé fan, and I know I’m not alone. Her music transcends racial boundaries, yet it is becoming increasingly outspoken in regard to racial ideas. Anyone looking for a Christian role model in Beyoncé probably won’t find one. But her cultural impact is simply too great to ignore. Lemonade is an incredible album that sounds off against both cheating spouses and racist systems. It paints a graphic picture of the pain and power of a black woman. Many critics seem to be uncomfortable with the unapologetic or impolite way Beyoncé presents her anger. That discomfort seems especially pronounced in white critics. Perhaps that’s because we know we play a part in it. Velda Love: I am a woman of African descent with an affinity for black life who serves a radically subversive Jesus. Perhaps that’s one reason Beyoncé’s recent work resonates with me so strongly. During the Super Bowl halftime show last winter, Beyoncé and her ensemble of dancers moved across the stage adorned in all black from head to toe. I don’t remember the score of the Super Bowl, but Beyoncé’s halftime performance remains etched in my memory and spirit. The song she sang, “Formation,” sent a clear message that she has been paying attention to the socio-political and economic construction of race in America. The theme of Black Lives Matter was magnified throughout the show as the words “Stop Shooting Us” appeared on a screen. She made the bold and controversial decision to display imagery referencing the Black Power and Black Lives Matter movements, the government’s slow response during Hurricane Katrina, and the courage to speak the names aloud of the men and boys—Trayvon Martin, Michael Brown, and Eric Garner—whose lives were taken by white racism, guns, and a low regard for black life. Mandi: The backlash against Beyoncé seems to implicate our refusal to recognize the cultural impact of a black woman who has chosen to express unedited lament. If culture matters to the church, if lament is more than a theological buzzword—then Beyoncé’s most recent work should cause us to pause, listen, and reflect. If white American Christians are uncomfortable witnessing a black woman express her pain—and her power—perhaps we need to admit that the problem lies with us, not her. The church has time and time again exploited, ignored, or failed black women. I’ve seen black female friends work tirelessly to earn degrees and support themselves and their families, all while bearing the crushing double weight of sexism and racism. My friends express how frustrating it can be to exist in mostly white spaces. Most of the time their stories are ignored. When they are given a platform, they are expected to speak on behalf of all black people—and to willingly bear the vulnerability that such expression requires. Velda: Exactly. I think the themes found in Beyoncé’s music fall into a long tradition of both social protest and religious reflection. I should add here that my personal reflections are my own—they do not represent all black people or all black women’s feelings regarding Christianity, theological viewpoints, and pop culture as activist art. Nevertheless, I try to follow in the footsteps of James Cone, Deloris Williams, Renita Weems, and many others whose theologies and Christian identities address justice issues that speak to the social, religious, and race problems we face today. James Cone is known as the founder of black liberation theology. His experiences growing up during the era of Jim Crow in Bearden, Arkansas, and witnessing the contradictions of white Christian racism and the oppression of black Christians led him to question whether the two races believed in the same God. His questions led to a search for what he called a “Christian theology out of the black experience of slavery, segregation, and the struggle for a just society.” That would be no small feat. For generations Christians had practiced and defended not just slavery but the hatred and demise of anything black or African. Cone’s mission was to bring blackness and Christianity together. She has launched us into a moment in pop culture when white people—especially white Christians—have the opportunity to listen. Renita Weems, biblical scholar, ordained elder in the African Methodist Episcopal Church, and public intellectual, offers insight and strategies for African American women’s approach to reading the Bible. In her essay “Reading Her Way through the Struggle,” Weems provides an analysis of how African American women in particular experience the Bible, i.e., through a hermeneutic of suspicion because of the ways the Bible has historically been used by oppressive entities to marginalize women and people of color. She points to the honest and patient hermeneutic needed to navigate oppressive cultural readings of Scripture. Mandi: There’s a fascinating parallel there, because in many ways Beyoncé’s music can be viewed and heard as a corrective to some of the false and damaging portrayals of women in more recent history. She uses a very brash, in-your-face artistic expression as an instrument for black female empowerment and for reclaiming control of that narrative. Lemonade is a visceral journey through moments of life’s horror and beauty. Songs range from declarations of persistent love (“Hold Up”) to anthems of self-empowerment or anger (“Sorry,” “Don’t Hurt Yourself”), to tender ballads of love and loss (“Sandcastles”) to calls for collective justice for black bodies (“Freedom”), to celebrations of hope and power in the midst of personal and communal injury (“All Night,” “Formation”). While the album dives deep into Beyoncé’s personal life and marital struggles, it also gives voice to the corporate pain and resilience of the black community, particularly that of black women. Velda: Yes, her work here echoes that of womanist theologians, who trace black women’s experiences from slavery to the present, highlighting the intersections of gender, race, and class. African American women were usually left out of conversations and plans to liberate women during the rise of feminism in the late 1800s and early 1900s. Yet a thorough reading of history reveals that many black women were not relying on or waiting for white women to recognize their womanhood. Black women have been freedom fighters, preachers and evangelists, social activists, and scholars—Harriet Tubman, Ida B. Wells, Sojourner Truth, Jerena Lee, Mary Church Terrell, Septima Poinsette Clark, and Fannie Lou Hamer—paving the way for the womanist scholars and theologians. So, for me, the current role that Beyoncé is playing shines a pop-culture spotlight on social and theological activity that has been ongoing throughout American history. I think it’s instructive, though not surprising, that Beyoncé’s very specific activist art can speak powerfully to the experiences of white women like yourself. Mandi: The universal appeal of her message for women speaks to the overlap in the overall female experience, but as a white woman I know that we miss something if we don’t recognize the racial and social component in her work. With Lemonade, Beyoncé reminds us that the struggles of black women are real, whether the rest of us bear witness to them or not. She has launched us into a moment in pop culture when white people—especially white Christians—have the opportunity to listen. We should be gathering all we can learn from this national conversation. We should celebrate the fact that so many black women have been encouraged and heard through the work of Beyoncé. We should repent of our complicity in a system that has told black women that they are not worthy, that they are not enough, that who they are and what they go through has no bearing on our lives as white people. We should lament the fact that as a church, we have opted for willful ignorance, passive “allyship,” or cowardly deflection—when what our sisters and brothers of color need from us is bold confession, true solidarity, and personal risk. Velda: Thank you for that invitation, Mandi. I’ll go even further and say Beyoncé’s “Formation” performance at the Super Bowl fits within the legacy of all those who occupy the streets, pulpits, and private and public spaces in solidarity with God’s demand for justice and equity. God did not create a “race” of humans, nor did God create categories of superior and inferior human beings. Imagine white Americans and the Christian church aligning itself with all cultures and valuing cultural histories and narratives as equal. What if there was more solidarity, more working toward dismantling and eradicating racism than criticizing how black women choose to express their pain, loss, grief, and struggles to keep their black sons and daughters alive? What if those who align themselves with the gospel of justice and peace placed God’s narrative at the center of life and faith? What if Beyoncé’s visceral truth-telling is an opportunity for us to enter into that narrative? Thank you for writing such a thoughtful reflection. This truth struck me hard…”We should lament the fact that as a church, we have opted for willful ignorance, passive “allyship,” or cowardly deflection—when what our sisters and brothers of color need from us is bold confession, true solidarity, and personal risk.” I’m listening. I watched Beyoncé’s 2013 super bowl performance. I wish I hadn’t. What is the word? Lascivious? I made sure I didn’t watch her 2016 performance because of that. I’ve only heard one of her songs on the radio. If I went into any details on the content of that song my post might be banned. In one sense we really should have no surprises about the behavior of pop stars. And no doubt as Christians we must be “wise as serpents” and know what’s going on in all places in our culture. But in my judgment it is unfortunate to speak about this singer in such glowing terms. Thank you for this discussion. As the white mother of an African American daughter, I’ll be getting Beyonce’s album and paying even more attention.